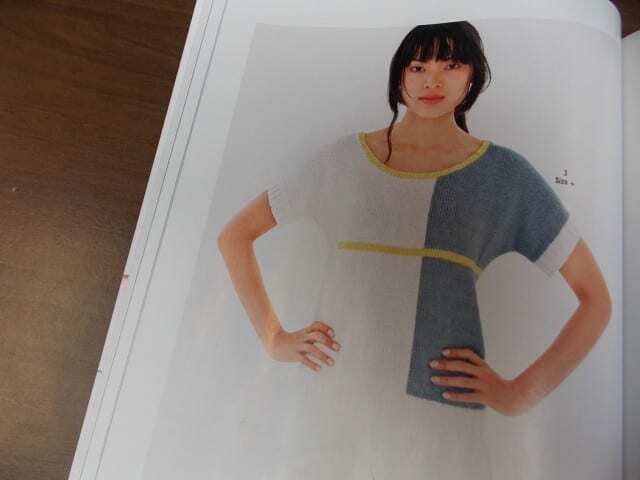 The Spring/Summer 2015 issue of Vogue Knitting is here! 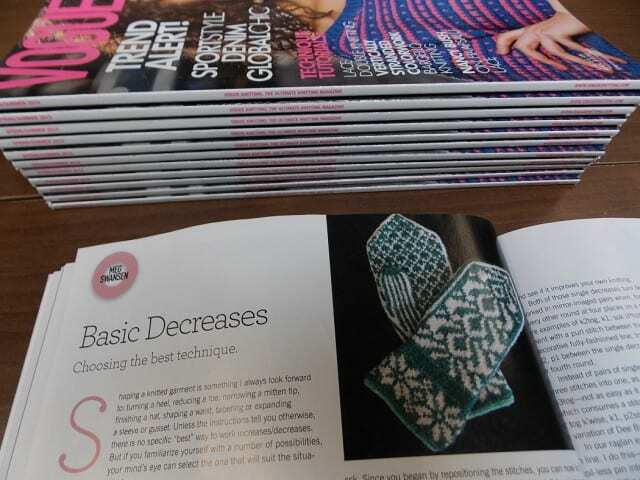 This issue features an article on sizing oversized sweaters, helping to make sense of positive ease. 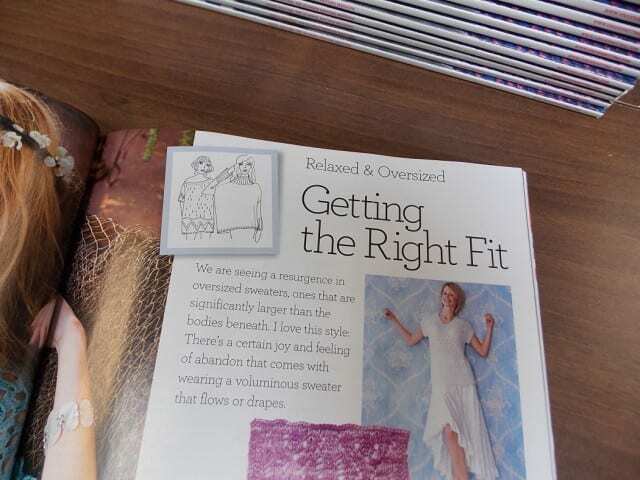 Meg Swansen’s column is all about decreases, and choosing the best kind for the project at hand. Besides the articles, there are plenty of patterns: a spread of sporty stripes, colorful tees and tunics, and plenty of those oversized sweaters I mentioned earlier. The colorblock sweater below is knit in Brown Sheep Cotton Fleece, a worsted weight blend of cotton and wool. 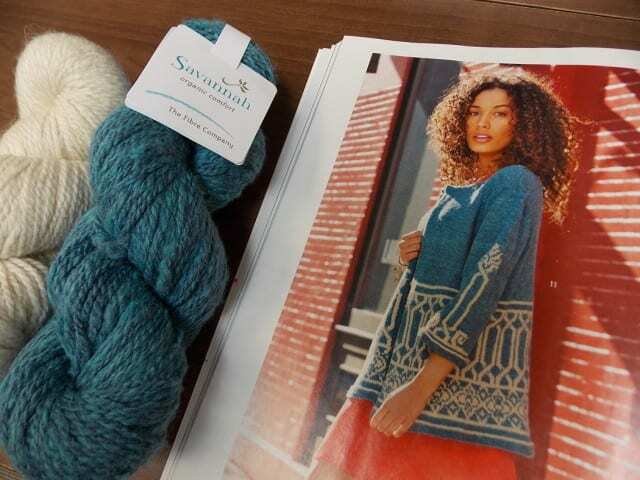 This colorwork jacket was knit in Fibre Company Savannah, a sport weight blend of plant and animal fibers that is perfect for Spring stitching. 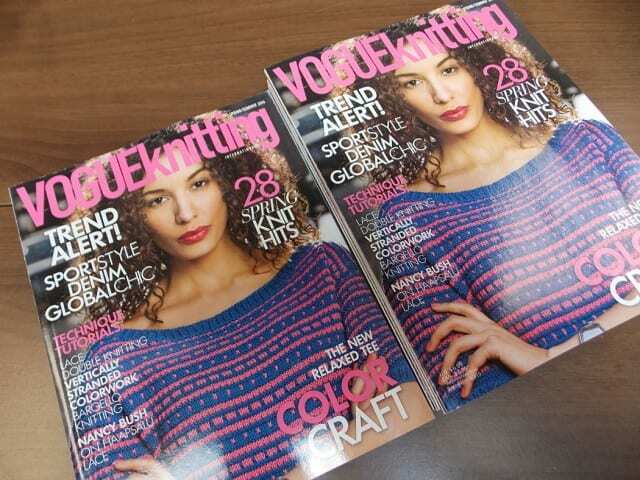 Look for the latest issue of Vogue Knitting on the teacart, among the new books and magazines. See you at the shop!